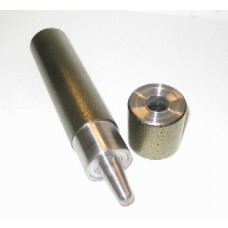 Closing tool for 24B sail eyelet. Use this tool to clip together the eyelet and wa.. Closing tool for 26B sail eyelet. Use this tool to clip together the eyelet and wa.. Closing tool for 28B sail eyelet. Use this tool to clip together the eyelet and wa.. Hollow punch for 26B sail eyelet. Use this tool to cut out the exact size hole to fit th..
Brass sail eyelet and washer, two parts. The size of this one is 26b. 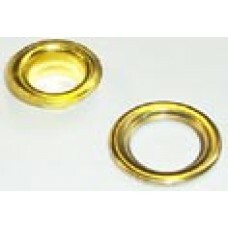 We also have prepa..
Brass sail eyelet and washer kit two parts. The size of this one is 24b it contains 25 e..
Brass sail eyelet and washer kit two parts. The size of this one is 26b it contains 25 e..
Brass sail eyelet and washer kit two parts. The size of this one is 28b it contains 15 e..